Just pondering today about leadership and the language of leading change… I recently read an article that talked about following being a voluntary act which made me consider how important leading change was. We cannot make people change unless they believe in the purpose of change. And to foster belief we have to believe in our own dreams and model the practice ourselves. I have also been grappling with learning Te Reo and one of the intricacies of the language is the pronouns. 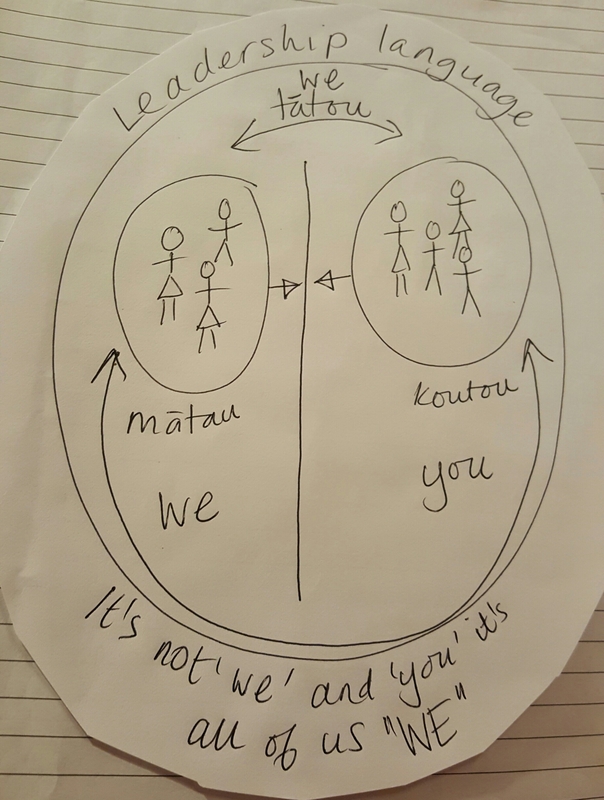 Both mātou and tātou mean ‘we’ but mātou is used when we doesn’t include the person /s being addressed ie we three but not you two as well. Tātou includes everyone. For me this is the essence of leading change, get rid of the ‘we’ and ‘you’ or the ‘them’and ‘us’. We’re all in this waka together.